It is alternative to else-if ladder. Switch Case Syntax is similar to – C/C++ Switch. Switch allows you to choose a block of statements to run from a selection of code, based on the return value of an expression. The expression used in the switch statement must return an int, a String, or an enumerated value. 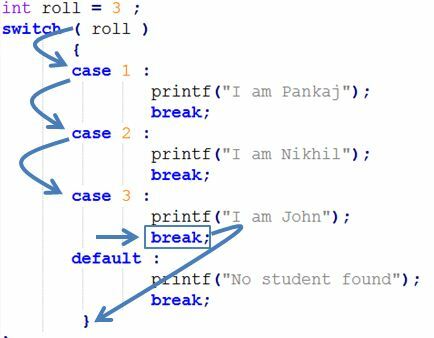 If you are coming from C/C++ then you must understand this concept that – Java Supports String Inside Case Label. Above program if used in C/C++ then it will give us compile time error. In C Programming we were unable to write Case label of data type ‘String’. In java we can have String inside “Switch”.